Andrew Durie, from Bonnyrigg in Midlothian, was last seen on Friday 11th July wearing a Rangers zipped jacket. Police are stepping up their appeal for information to help trace a missing Midlothian man. Andrew Durie was last seen at his home address in Pentland Road at around 10am on Friday 11th July, but has not been in contact with friends or family since then. The 28-year-old was wearing a blue and white Rangers zipped jacket and blue jeans. He is described as being of medium build, and around 6ft tall with blond hair. A possible sighting of Andrew onboard a Number 21 Lothian bus was reported to police at around 2pm on Friday 18th. 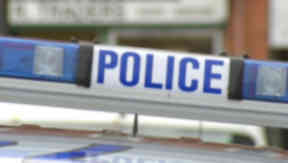 A male thought to match his description was seen on the bus in Great Junction Street, Leith, in the company of a woman. Now Police Scotland are again calling for any members of the public who have information on his whereabouts to get in touch. A spokesman said: "It is now over a week since Andrew left his home in Bonnyrigg and we have been following a number of lines of enquiry to establish his current whereabouts. "Anyone who believes they know Andrew's current location is asked to contact police immediately. "In addition, any passengers onboard the Number 21 bus on Friday who remember seeing the male and female are also asked to get in touch."